Hey there guys. Happy Monday! Continuing on with my updates, I want to share with you my recent lipstick purchases. These were accumulated over the few weeks that I have not been updating. I'm way behind reviewing these goodies but I will remedy that over the next few weeks. 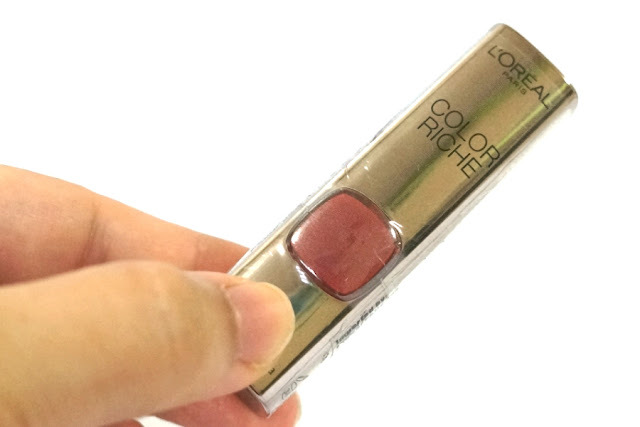 A bold lip color in an innovative cream-to-matte formula Your go-to matte lip, minus any chapping and dryness. 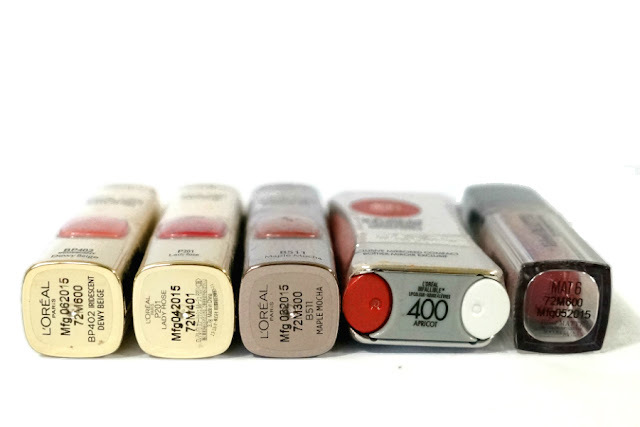 "Hydrating cream color glides on smooth and sets with a matte finish; vibrant, richly-pigmented hues are designed for long wear; lightweight, non-sticky, non-drying formula; velvety, cushion-like texture keeps lips in comfort all day." 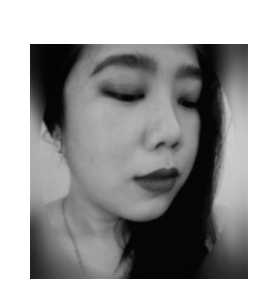 This lipstick is from Maybelline's new line "Velvet Matte" which would supposedly is a hydrating matte lipstick. I'm curious as to what the brand would come up with in terms of texture and formula and whether or not they are successful. 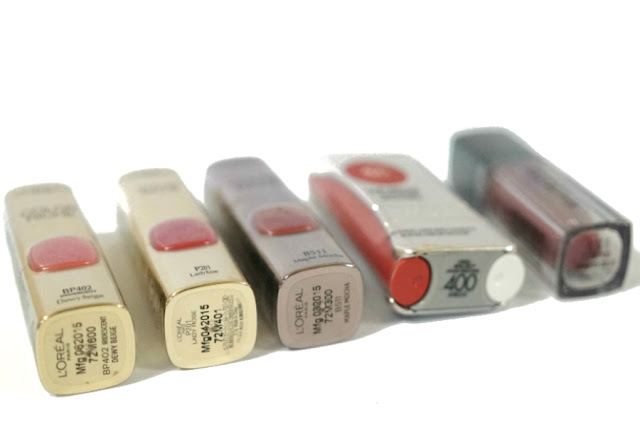 A long-lasting, hydrating lipstick with a modern matte finish. 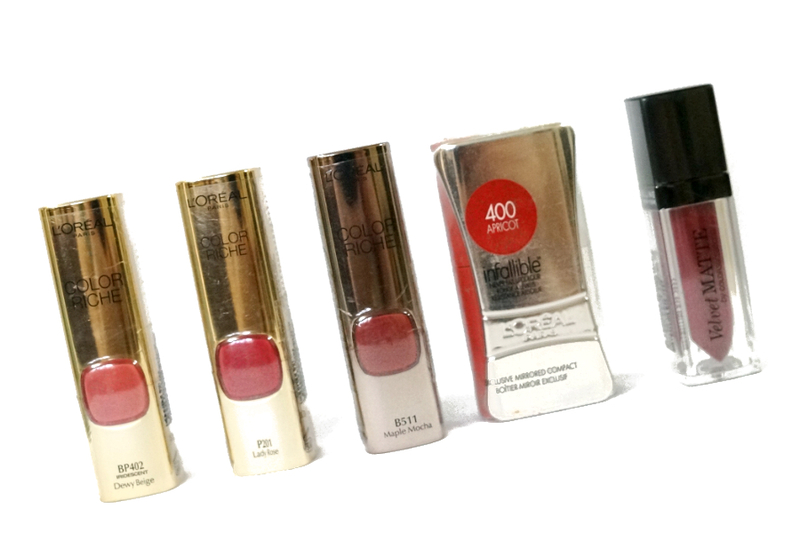 "Formulated with Matte Gel Technology for a semi-matte finish; deep color pigments deliver rich color payoff; intensely moisturizes lips with jojoba oil." 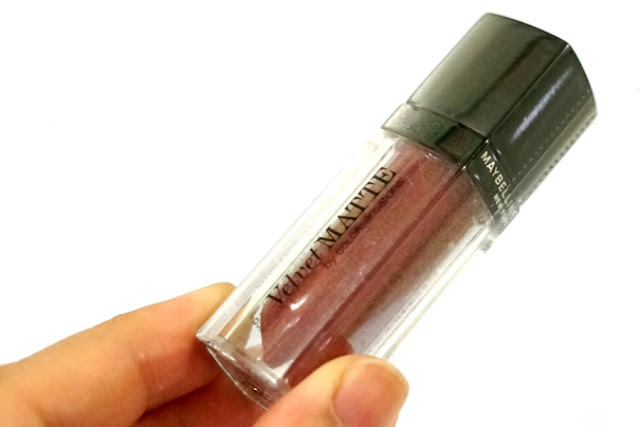 I bought this one so I could compare the formula with Maybelline's Velvet Matte. 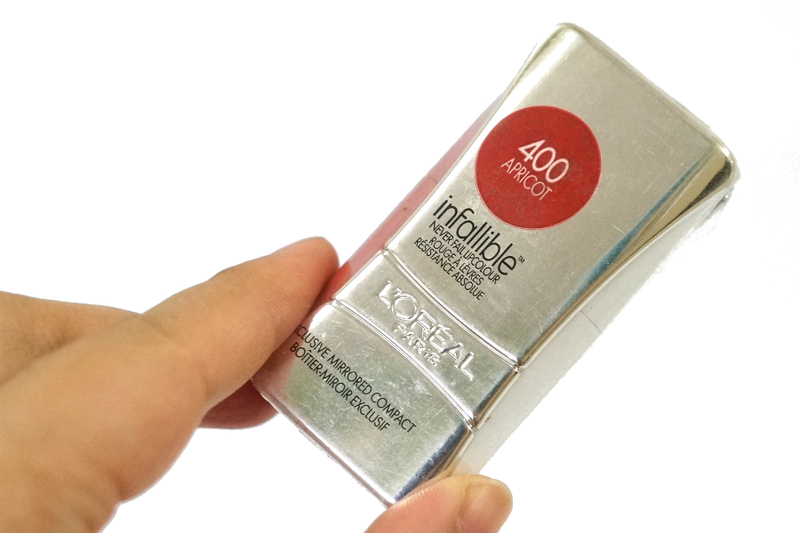 They feature the same claims of giving a matte finish without the dreaded dryness. 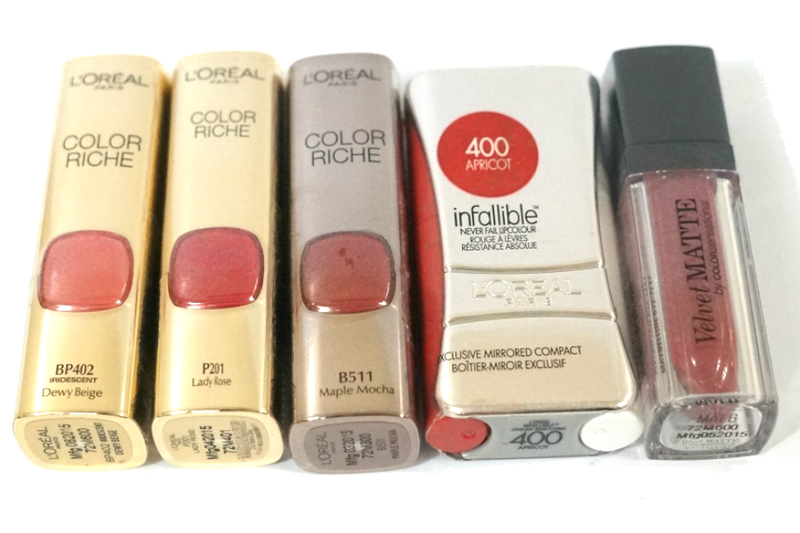 I don't really expect any of the two (Maybelline, L'Oreal) to deliver on such claims as it is just the nature of things, if you want a matte lipstick, you better be prepared to deal with the dryness. L'Oreal's Infallible line is the equivalent of Revlon's Color Stay, Cover Girl's Outlast, Maybelline's Super Stay and Max Factor's Lipfinity lines. It's been awhile since I've tried out this formula so I decided to revisit memory lane and familiarize myself with the formula once again. 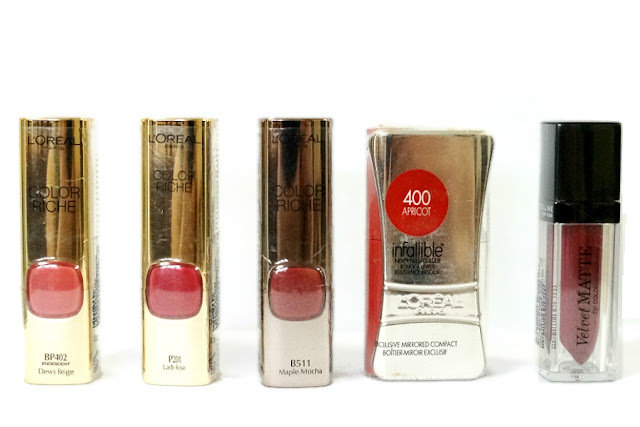 L’Oreal’s 2014 edition of its iconic Color Riche lipstick line. 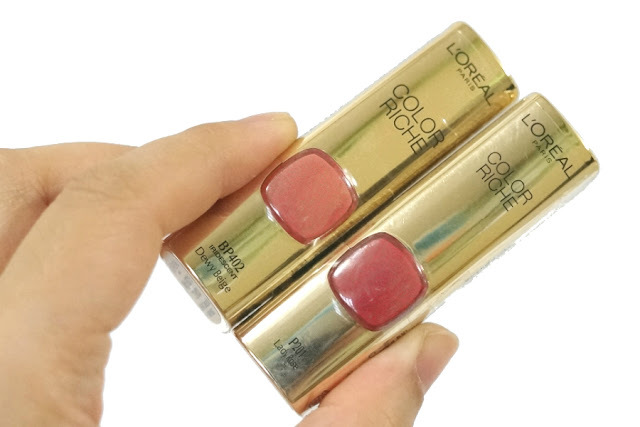 "Drenches lips in pure, fine pigments; infused with moisturizing Omega 3 oil and vitamin E to soften cracking and chapping; creamy texture goes on smoothly and leaves lips with a subtle shin." I am still a newbie when it comes to L'Oreal lipstick so I'm excited to try both of these. I'm not sure if I got the right colors for my skin tone but I'm mostly after the formula so I got one light shade and a medium shade to test out.